52 Ways to Fall in Love with the Earth | A new way each week. A new way each week. The idea for this blog emerged from the many requests Hooked On Nature received from people asking “What does a relationship with nature look like?” and “What does it mean to connect with the natural world?” Together we are discovering the answers to those questions. In January of 2009 we began the conversation and we encourage you to peruse our 52 blog entries and/or join our twitter feed and follow the year. If you enjoy this blog you may be interested in Nature Circles or learning more about other initiatives at Hooked On Nature. We’re excited to announce that in January 2010 we’ll be publishing Reading the Book of Nature: 52 Ways to Fall In Love with the Earth please sign up for our email list and we’ll send you information when it is available. We’re excited to announce that we’ll be publishing Reading the Book of Nature: 52 Ways to Fall In Love with the Earth. While we will no longer be sending you weekly emails, we’ll periodically update you with news and let you know when the book is available. This final week of 52 Ways coincides with the Winter solstice. For eons people around the world have gathered together to celebrate, to share fellowship, and to express appreciation. Each week of this blog has felt like a mini celebration. Thank you to all of the amazing photographers who have shared their beautiful images, everyone who commented and each of you who read the blog and shared with friends and family. How do you plan to celebrate nature with the people around you in the next 52 weeks? 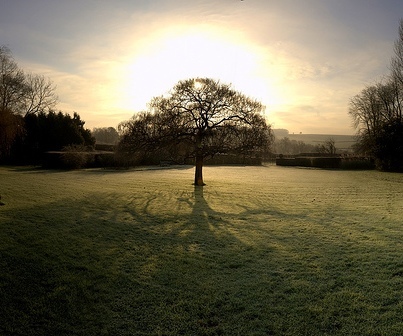 Winter Solstice is the shortest day of the year in the Northern Hemisphere marking the first day of winter. Our Australian, African and South American friends are enjoying the longest day of the year as they enter summer in the Southern Hemisphere. When I heard that Venus transited the Sun in 2004 and will again in 2012, I wanted to know more. A friend explained that a transit is like an eclipse, in that Venus ‘stood’ between the Earth and Sun. During its journey a solar wind blew from the Sun to Venus, to Earth, blowing with it Venusian rocks, soil, particles and bacteria. We actually have pieces of Venus on earth! With this in mind, I took a walk conscious that I was breathing in and walking on pieces of Venus. How amazing is that! 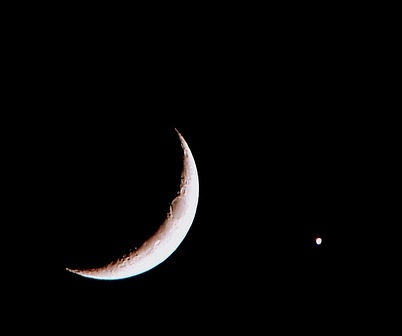 Venus can often be seen near the moon and is the second brightest natural object in the night sky. This sister planet reaches its maximum brightness shortly before sunrise and shortly after sunset. Venus is the only planet in the Solar System that rotates clockwise. All the other planets turn counter-clockwise. A friend sent me this video of hundreds of starlings flowing together in the air. 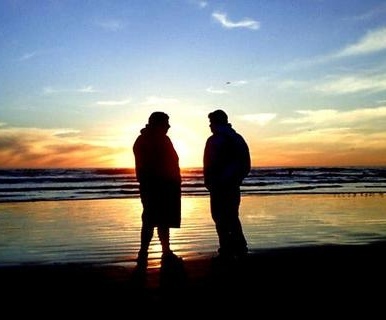 Seeing this… I feel like I am there witnessing a rare and beautiful event. It is incredible that these are birds… and leaves me speechless. I am thankful for the amazing windows into nature happening all around the world through cameras. 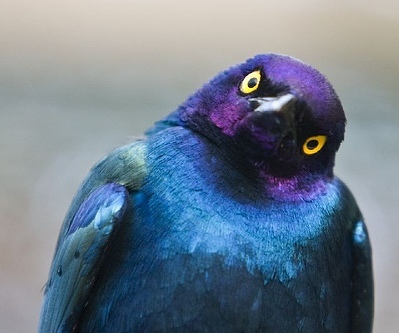 People have long wondered how Starlings manage their incredible patterns of flight with out crashing into each other. Researchers have discovered that each starling interacts with six or seven other birds irrespective of the distance of these seven birds. Since each bird is flying in relationship to the 7 birds around them they all can shift direction quickly within a huge flock. This week I’m feeling all the things I am grateful for. I am very thankful for being able to share my experiences of nature with you. Writing this blog, connecting with all of you and hearing your perspectives enriches my life. How has sharing your love of nature affected your life? There was a meteor shower here this week. It brought up memories of Haley’s comet visiting us years ago. When I see a comet and know that people all over the world are experiencing it too I feel part of something vast and am reminded that we are all connected in time and space. What do comets evoke in you? 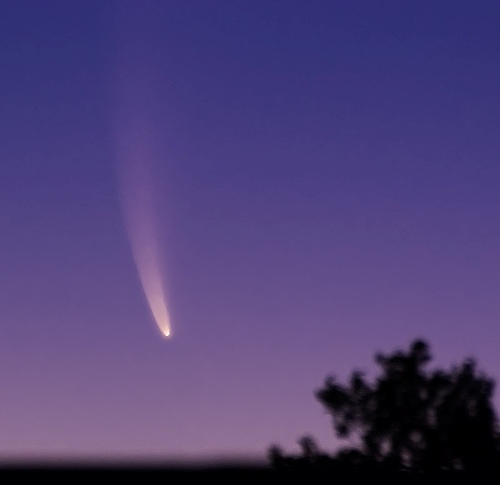 The dust tail of a comet can be up to 10 million kilometers or longer. The other day I was reflecting on where my keyboard came from – how the raw materials in the plastic were once plants and animals thousands of years ago. It led me to reflect on how everything around me came from nature: the computer, the cup, the walls… and how people molded, transformed and combined trees, rock, clay and hundreds of other things to make these amazing shapes. I felt a deep appreciation for the creativity and invention of thousands of people over time. How do you experience the inanimate objects in your home? I remember being amazed upon hearing that aspen groves are often one single plant connected underground. All these separate looking trees were actually the same plant! Knowing this made walking through a grove of aspen take on a very different expereince. I could feel how all of life is connected in ways I might not see. What have you seen or learned in nature that gave you sense of connection? Some of the largest living organisms on earth are connected beneath the ground or underwater. The Aspen tree forms large stands of genetically identical trees (technically, stems) connected by a single underground root system. These trees form through root sprouts coming off an original parent tree. The largest known fully-connected Aspen is a grove in Utah nicknamed Pando, and some experts call it the largest organism in the world, by mass or volume. It covers 106 acres and is estimated to weigh 6,000 tons. A giant fungus called honey mushrooms in Oregon was found to span 2,200 acres (that’s 1,665 football fields), which would make it the largest organism by area. Another plant that rivals these land colonies in size is a strand of the giant marine plant, Posidonia oceanica, discovered in the Mediterranean Sea. It covers a band roughly 4.3 miles in length! We love your stories, comments and pictures! Please visit the comments area of each post to read what others have to say about their love for the earth. Feel free to leave your own message for the world to see. new games by bethesda on Week 14 – This Valentine’s Day Fall in Love with Nature! Rihanna Diamonds on Week 14 – This Valentine’s Day Fall in Love with Nature!